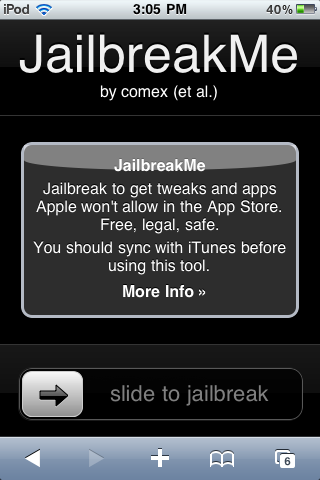 1)The first thing you need to do is click the Jailbreak Me Now button on your iPhone 4 or other iDevice. The actual URL is: http://jailbreakme.com. 2) Once you have clicked the Jailbreak Me Now Button on your iDevice, you will simply need to slide across to jailbreak your iDevice. Note: The website is under extreme traffic right now and may be even down. You may need to wait for a while to access it. 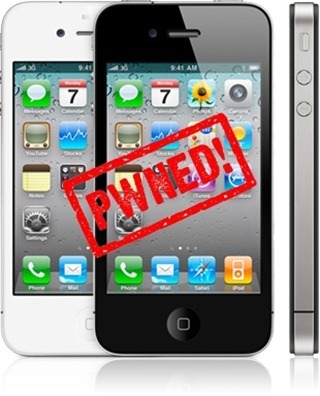 Once you slide to jailbreak your iPhone 4 or other iDevice, Cydia will appear on your springboard and your iDevice will be successfully jailbroken. A Restart is not even required; This jailbreak took a while to develop and was a product of hard work and dedication by Comex and the Dev-Team. They work for free and expect nothing, so make sure if you ever bump into them on IRC, say thanks. Are you looking for an unlock? The iPhone 4 unlock will be released within 48 hours via Cydia. We will keep you updated when it is released. So,What are your thoughts on this new jailbreak?